Where are maps that players create stored? I was looking through this post and found that a link to a world download had been posted there so I downloaded it. 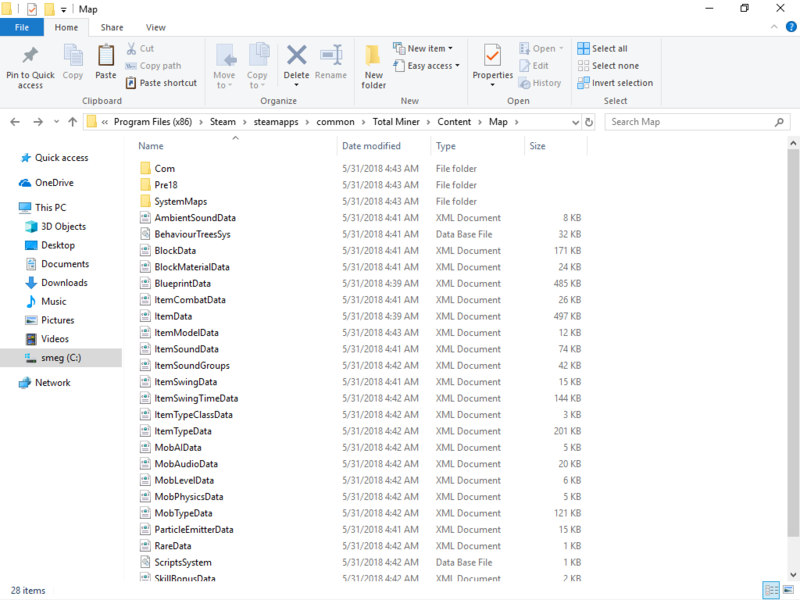 I went into the files to try and find where the maps I created were stored so I could move it there but I couldn't find it. I'm assuming that's what I need to do to get it to show up in the list of maps I have but please correct me if i'm wrong. Re: Where are maps that players create stored? It is located within "...Documents\My Games\Total Miner\" or "...Documents\My Games\Total Miner Beta\" if you are using the Public Beta.